During the month of August in Texas everything is thirsty, I mean the very rocks and dirt we tread on are yearning to be quenched. The trees wilt, the grass turns to dust and the earth cracks for lack of drink. Animals hide in the shade by day and search out stock tanks and lakes in the evening. This is when scorpions creep up your pipes and surprise you in sinks and bathtubs, so when it rains in crazy hot, freaking dry August Texas it is reason to celebrate. Aleu and I awoke to this strange foreign sound upon my metal roof, water was falling from the sky in the heat of the Texas summer. 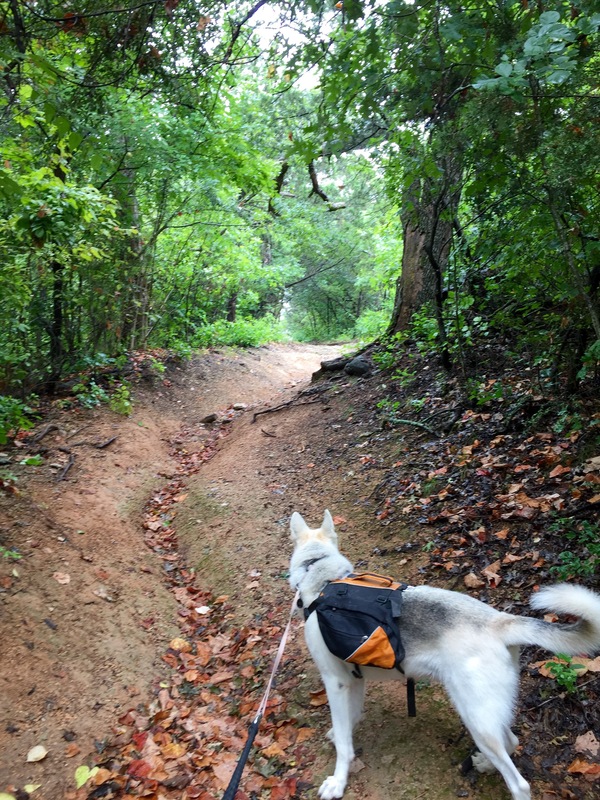 The highs were in the high 70’s to low 80’s, there was surely only one reasonable way to spend my day, out getting muddy on a trail thanking the universe for this glorious gift of moisture. 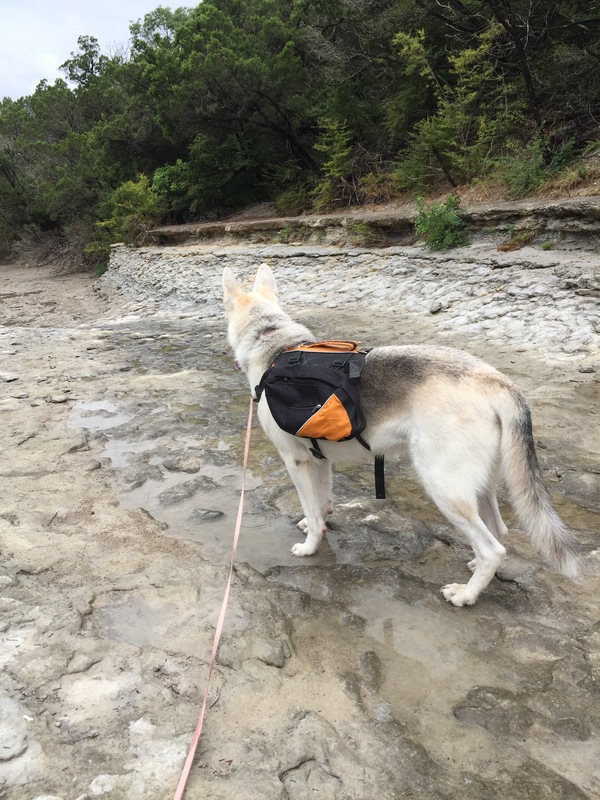 We hopped in the jeep and set our sights for my home base State Park in Cleburne. When we arrived our usual park ranger didn’t seem at all surprised to see us on a rainy day, I also think we were the only people out there. 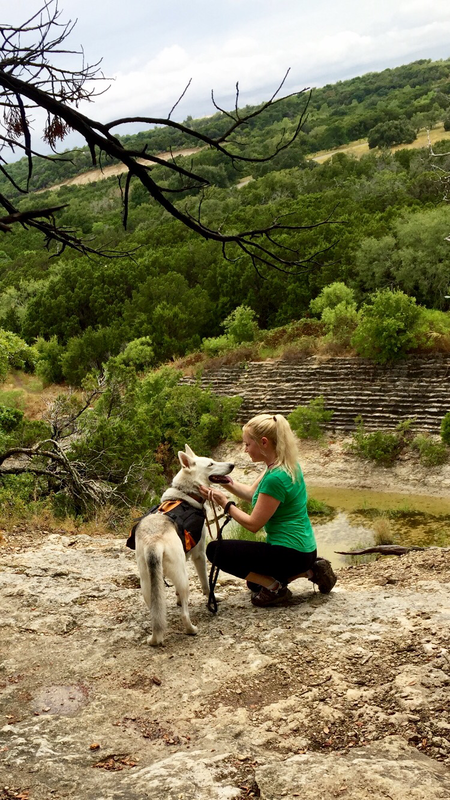 Aleu received her compulsory treat from the friendly ranger who checked us in and off we went. The weather was divine and I think all of the wild critters were as happy as we were for the rain, we saw deer pouncing along paying us no mind at all, birds chattering happily flew above us shaking out their wings. We hiked a five mile loop around the lake and through the woods, I swear the trees were even smiling at this respite from the heat. This park is a jewel to have so close to home, keep it wild my friends. Let the rain rinse off the August dust. So nice when you get a break from the heat of Texas and Oklahoma and get to hike!